Hanya Yanagihara’s second novel, A Little Life, is a wonderfully written, heart-wrenching novel about four friends—J.B., Malcolm, Willem, and Jude—who form a life-long friendship while being roommates in college. More than 700 pages long, I finished the novel in less than five days, on more than one occasion staying up reading until three in the morning. While reading A Little Life, I found myself wondering during what time period the story is supposed to take place. The story has the feeling of a tale of the twenty-first century, but it follows the lives of J.B., Malcolm, Willem, and Jude for approximately forty years. It is as if the story is suspended in some kind of perpetual present-day. One of the reasons why I wanted to find out during what time period the novel takes place is because there are certain aspects of Willem’s Scandinavian heritage that puzzle me. To be able to understand what Yanagihara might have been thinking when creating his backstory I needed to know what year Willem was born. In trying to figure out his year of birth, I discovered that Yanagihara is a sophisticated manipulator of time, who has written a novel of speculative fiction in the guise of literary fiction. Yanagihara creates the feeling of a perpetual present-day by not mentioning any years or dates. Moreover, she makes no mention of any political or cultural events that can help anchor the story in time. However, she does mention the birthdays of the four friends and what age they have reached at that particular time. At first I assumed that the novel, like most novels of literary fiction that span several decades, ends at the point in time when Yanagihara stopped writing, presumably in 2013 or 2014. Towards the end of the book, we are told that J.B. is sixty-one years old. 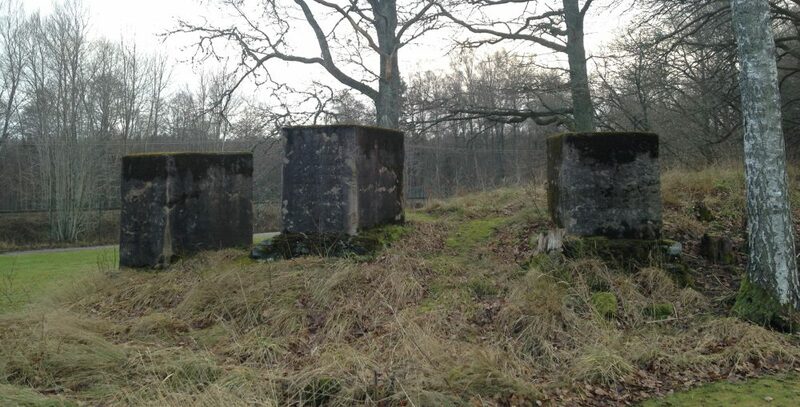 If the story ends in 2014, that would mean that J.B., Malcolm, and Willem were born in 1953 and Jude, who is two years younger, was born in 1955. But that doesn’t make sense when reading the novel. The friendships formed and the relationships entered into could only happen in the twenty-first century. Moreover, throughout the story, there are references to e-mails, cell phones, text messages, and digital photos. The clue can be found in a brief mention of an art exhibit at the very beginning of the novel. The art exhibit consists of dioramas depicting Asians in America during each decade from the 1890s until the present-day. Through J.B., Yanagihara tells us that the artist has already completed the diorama for the two-thousands, i.e. the decade that lasted between January 1, 2000 and December 31, 2009. From this brief mention, we can conclude that A Little Life does not end in 2014; it is more likely that it begins in 2014. Through Malcolm, Yanagihara lets us know that at the time of the art exhibit, he is twenty-seven years old. Consequently, J.B. and Willem are also twenty-seven years old while Jude is twenty-five. If the novel indeed begins in 2014, this would mean that our friends were born in 1987 and 1989, respectively. Therefore, if the four men were born in 1987 and 1989, and J.B. at the end of the novel is sixty-one years old, the story told in A Little Life in actual fact ends in the year 2048. The story of the friendship between J.B., Malcolm, Willem, and Jude takes place entirely in the future. Stories about the future is considered to belong to the realm of science fiction, where technological advances has transformed the world into something very different from the one in which we live today. Personally, I believe that Yanagihara’s vision of our future is a more accurate prediction of what is to come. Our little lives take place in a perpetual present-day which does not change much over the decades. Yes, forty years ago we didn’t have the internet and today, one single smart phone is a more powerful machine than all the computers that brought us to the moon combined. But forty years into the future we will still live in houses, drive cars, and speak on the phone. We will still find love and make friends. 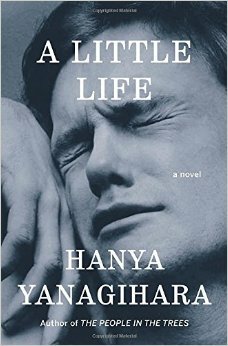 And we will still read fantastic novels like Hanya Yanagihara’s A Little Life. This entry was posted in Writing & Reading and tagged A Little Life, bisexuality, child abuse, Doubleday, future, Hanya Yanagihara, homosexuality, literary fiction, male friendship, race, Science fiction, speculative fiction, Time by Erika Harlitz-Kern. Bookmark the permalink.